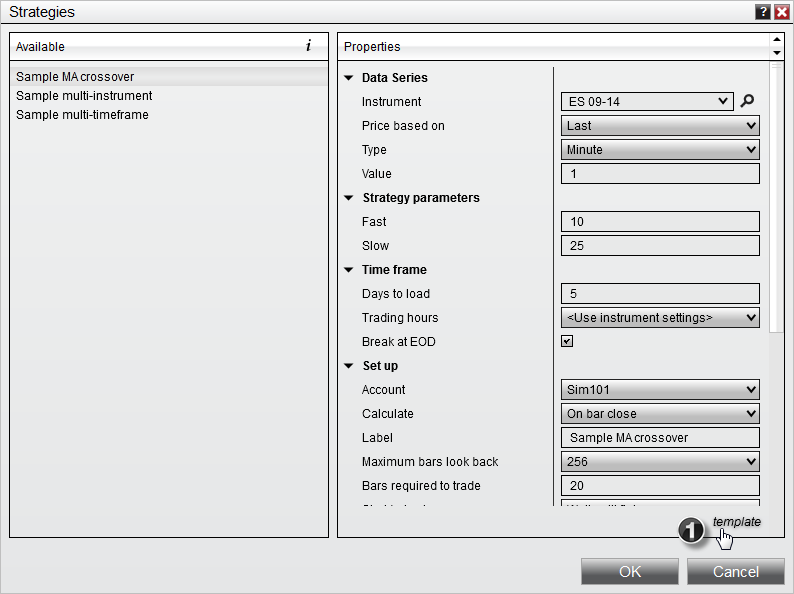 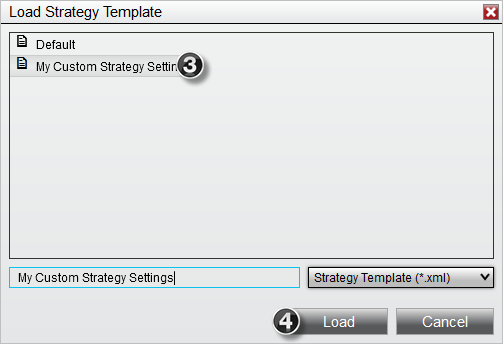 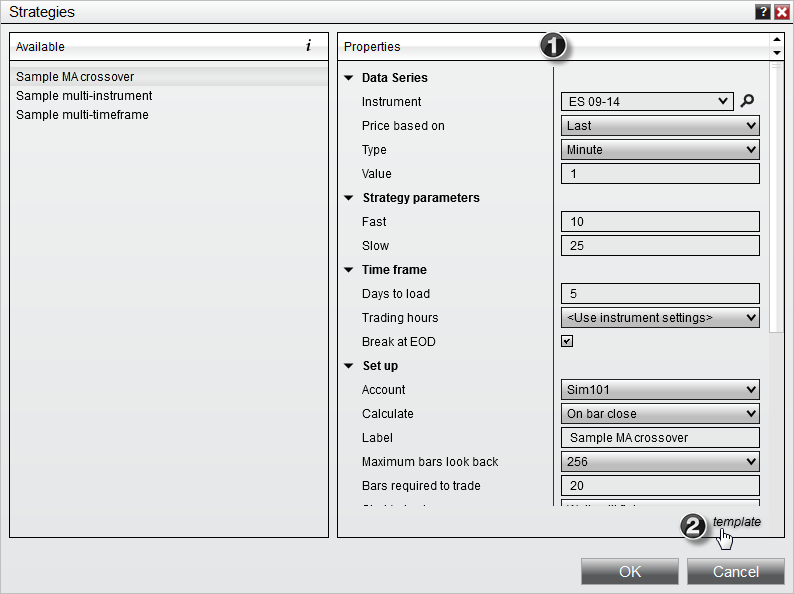 NinjaTrader allows you to save your Strategy properties as a template that can be loaded or set as the default for new instance of a Strategy when starting the strategy to be used in real-time or for backtesting purposes. 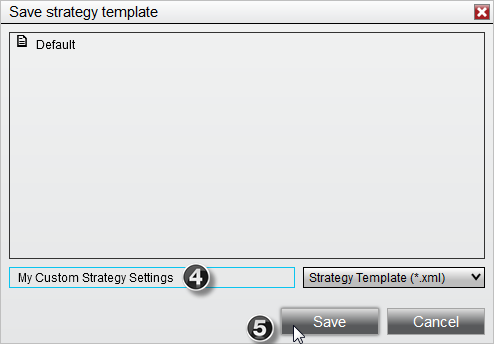 There is no limit to the number of templates you can save. 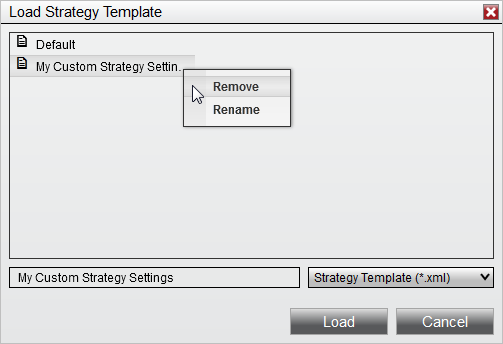 Tip: If you wish to save your strategy properties as the default values used when recalling these settings, you can call the strategy template name "Default" which will automatically load when a new instance of the strategy has been initiated.